I had the pleasure of attending Barry M's Spring '16 launch party where they showcased some pretty exciting new products and have revealed the new face of the brand, Lucy Mecklenburgh. With Spring in mind, Barry M have created some great products to see you right through to Summer. 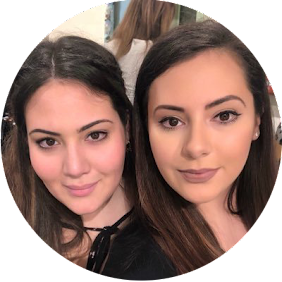 You can keep your face looking bright, fresh and summer ready using their new products, shades and looks to prepare for the upcoming Spring/Summer months. We couldn't wait to share with you their fabulous new range, full of colour and quality! 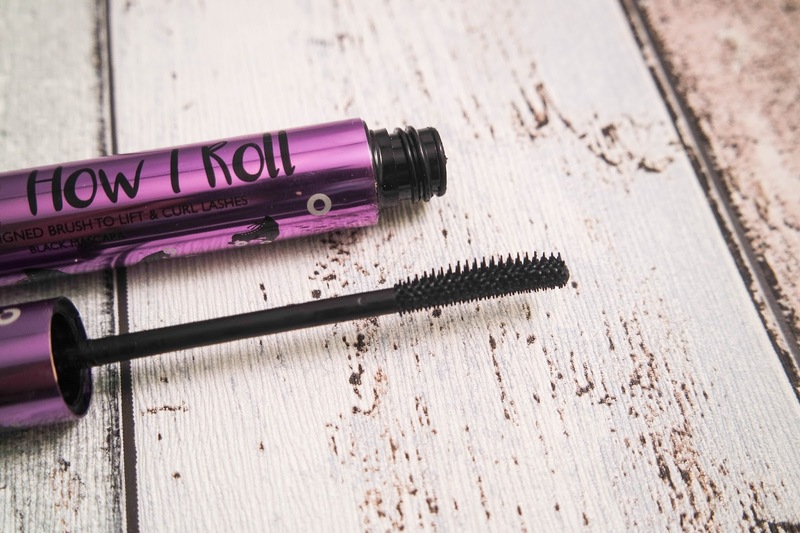 A major dupe for Benefit's Roller Lash, That's How I Roll pretty much has the exact same brush, with longer hooked bristles on one side, shorter ones on the other. 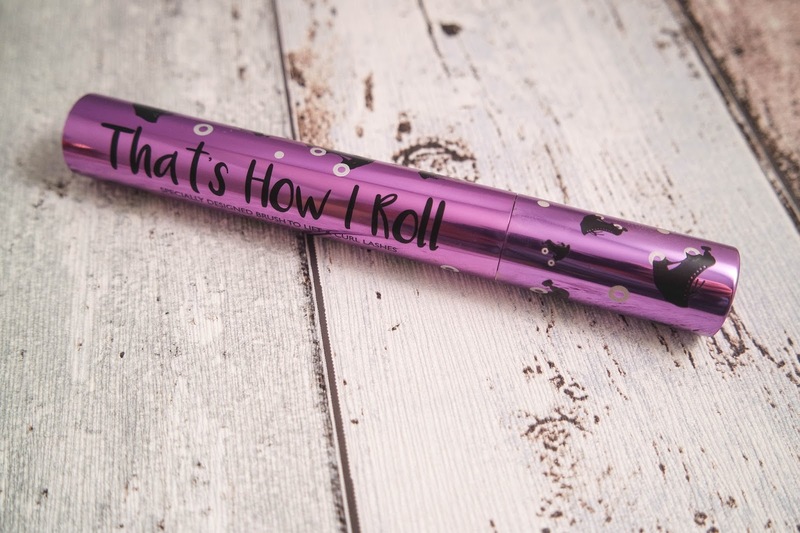 Life a life without curlers and buy this super cute mascara for less than £6! The bristles really lift and define the lashes giving a full fluttery look. It's certainly made it to my everyday essentials. 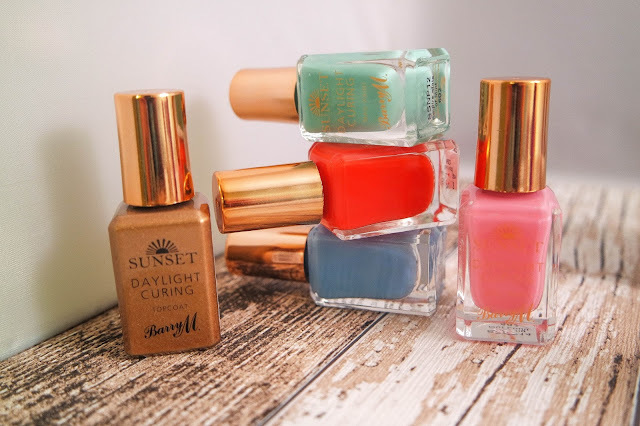 Next up, I got to check out more of my favourite nail polishes. I have been buying Barry M's polishes for years and my collection is ever growing. So much so in fact that I'm having to buy two more nail polish racks in order to accommodate my huge collection! I love the range of colours, finishes and textures, but most of all, I love how they rarely ever chip! Barry M Speedy Quick Dry Nail Paint. L-R : Freestyle, In A Flash, Personal Best and Winning Streak. Barry M Speedy Quick Dry Nail Paint. L-R: Personal Best, Winning Streak, Freestyle and In A Flash. The Speedy polishes have a quick dry formula which means you can paint and go! No need to flap your hands about air drying, just a quick swipe of the flat brush, give them a little blow and that's it! This range of pinks and purples gives you the choice of a different colour every week of Spring! 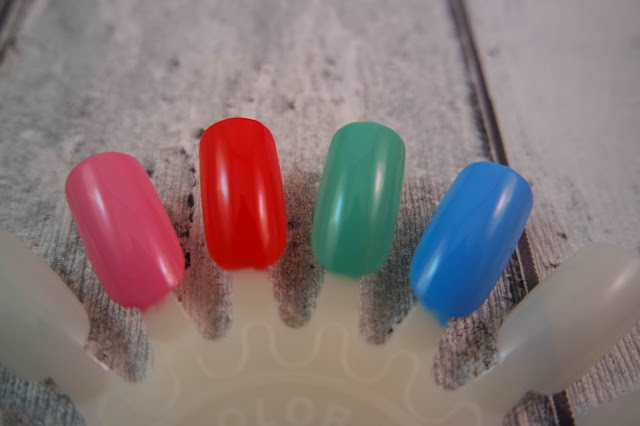 Another nail favourite is the Gelly Hi Shine range which promises and delivers gel-like shine and longevity. The colours are beautiful and nudes are so in this Spring. I'm actually wearing the Butterscotch Sundae shade right now! You can get your hands on these two ranges at Superdrug and Boots for just £3.99. 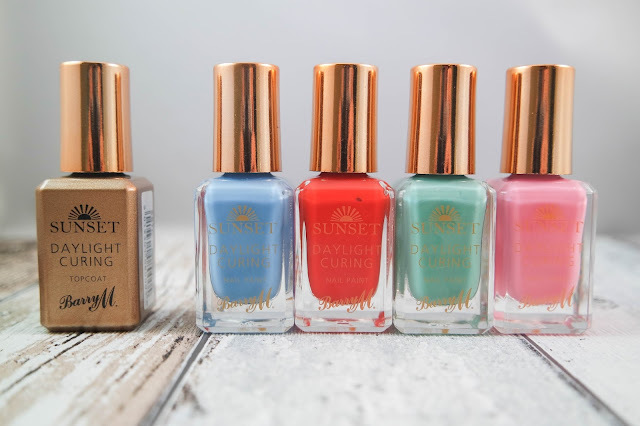 The third nail range to come out for spring is the Sunset Nail Paint. Another salon gel-like finish, but without the need for a UV light! These bright summery colours cure in daylight with the help of the topcoat. Simply apply two layers of your favourite coloured nail paint and finish off with a single layer of topcoat and enjoy the sun! You can get these for around a fiver each! Adding new shades to their existing offering, Barry M have finally catered for the darker skinned and lighter haired ladies out there. 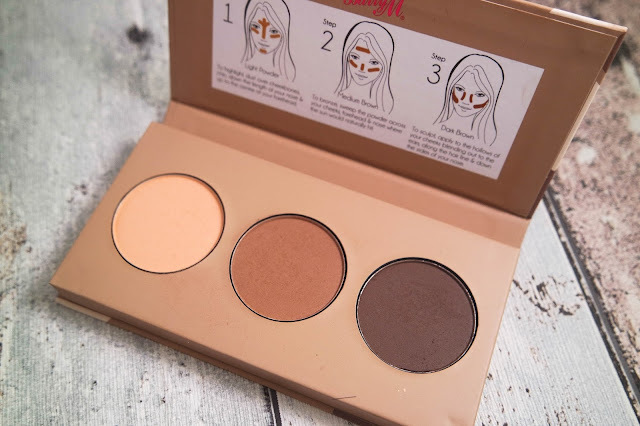 With a new Medium-Dark Chisel Cheeks Contour Kit and a Light-Medium Brow Kit, you'll have killer contour and brows on fleek all Spring/Summer. 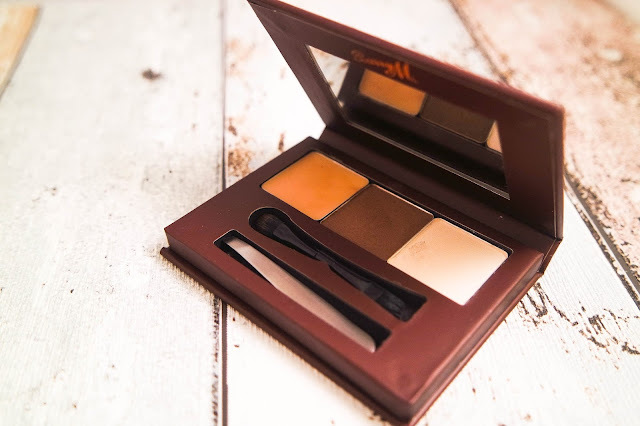 Barry M Chisel Cheek Contour Kit in Medium-Dark. Light to Highlight, Medium to Contour and Dark to Sculpt. The Contour Kit offers not only a light powder to highlight, but two darker powders; medium and dark to bronze and sculpt to give you Kardashian-worthy cheek bones. 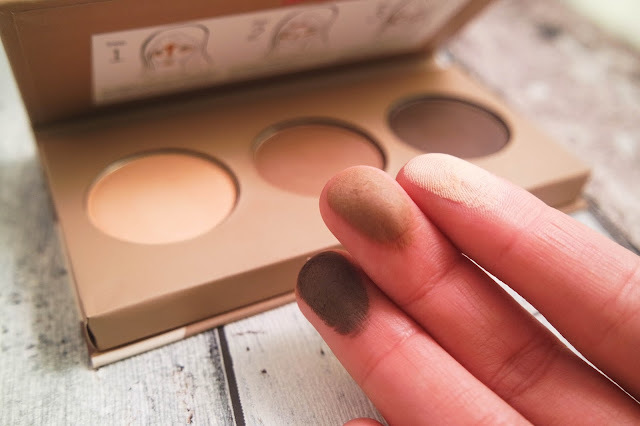 Although I'm more favourable to a creme, the powdery texture is great for blending and are super pigmented to give you truly spectacular contouring. For less than £7, who needs a professional makeup artist? I've got quite sparse brows considering how thick my head hair is and am desperately trying to grow them to an acceptable without-makeup thickness. I'm always in need of a little touch-up however and kits like this are great to fill, shape, highlight and define both in your everyday makeup routine and on the go. The Brow Kits even come with handy mini tweezers (so cute!) for touch ups. For just £5.99, it'd be rude not to! 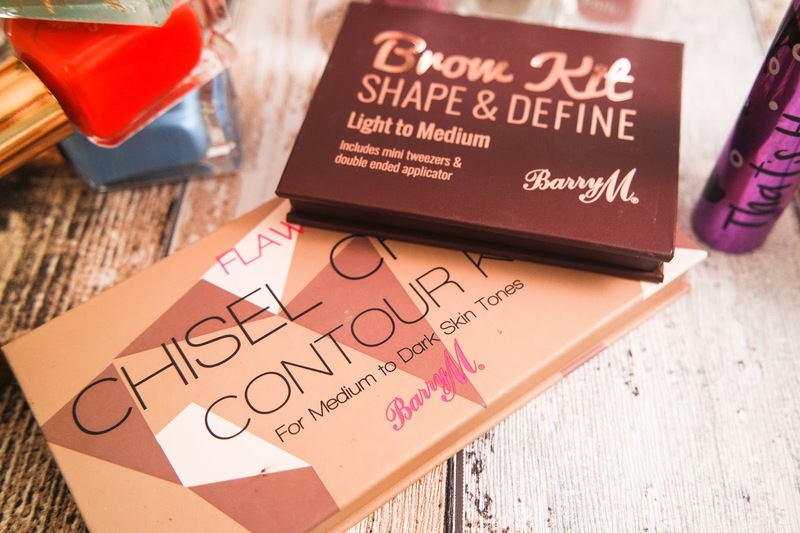 With such cheap products, and no skimping on quality, it's no wonder Barry M is a huge hit with both bloggers and high street shoppers. 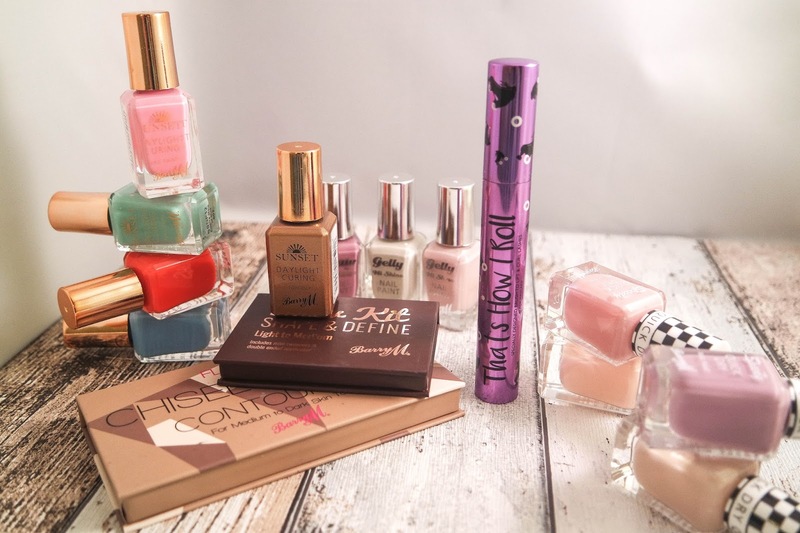 Sold in both Superdrug and Boots, their huge range of products is fast becoming a best seller, and with Lucy Mecklenburgh as their cover girl, they'll have a very successful 2016 indeed. Do you have any of their new spring collection? What are your thoughts? What a beautiful collection! The nail polishes are truly amazing.